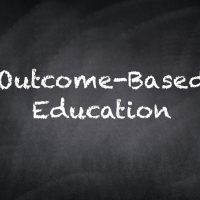 The major components of Outcome Based Education(OBE) are Course Outcome(CO) and Program Outcome(PO). Based on how well these two parts are defined and evaluated, OBE attainment is measured. COs are the statements of knowledge/ skills/ abilities that students are expected to know, understand and perform as a result from their learning experiences in each course. Why Is It Important to Have A Well Written CO? A well written CO facilitates lecturers in measuring the achievement of the CO at the end of the semester. It also helps the lecturers in designing suitable delivery and assessment methods to achieve the designed CO.
CO can be defined and verified by using SMART principle as given below. The SMART methodology is widely use and here is an example from Univeristy of Toronto on using SMART principle to define COs.
As discussed above, the internal exam questions must be mapped to their CO’s, this help us to list the marks obtained by students for CO in the below image. RUBRICS helps us to define the threshold through which level of attainment of a CO’s are calculated. Rubrics are a simple way to set up some grading criteria through which level of attainment is calculated by using some predefined values. The marks obtained the students for each CO in an exam (internals and university) are listed out as shown in the below figure based on the weightage allocated (max mark CO wise) for the CO’s in the exam. Level of CO attainment is based on the percentage of students above the threshold percentage. Based on the level of CO obtained for internal and external from the above method the final CO attainment is calculated. The level of CO of each test are listed in the below format. Programme Outcomes (PO) are the knowledge, skills, and abilities students should possess upon graduation, they are the central organising feature of student learning. Program Outcomes (PO) can only be achieved and demonstrated through the integration of course components and Course Outcomes (CO). 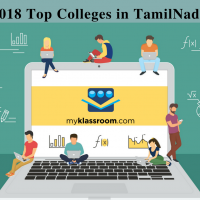 They should be demonstrated through course assessment, particularly in final year courses, and especially through capstones. For measure PO in direct method a CO/PO matrix is used to measure PO. The CO are linked to the PO using the CO vs PO matrix as stated in Course Syllabus blueprint. When designing the CO, lecturers of each course map their CO to the appropriate PO to ensure that all PO are delivered throughout the study. The questions in the survey sheet should represent the PO’s All these survey needs to be a quantified one (1, 2, 3) and they must be based on predefined levels like Rubrics defined for direct calculation. Sample rubrics for indirect calculation. Final PO attainment comprises of both Direct method and Indirect method hence the found calculated value (PO attainment) are listed out corresponding to their CO. And summing up them provides the PO attainment based on the weightage allocated as shown below. Similarly PO attainment is measure for all subjects and the cumulative PO is calculate. The results from PO calculation are further used for Graduate Attribute (GA) and Program Educational Objectives (PEO) using respective matrices. Myklassroom can help your institution to measure various Outcomes using its OBE module. To know more on how to effectively implement OBE and reduce your workload, please get in touch with a Myklassroom representative now.